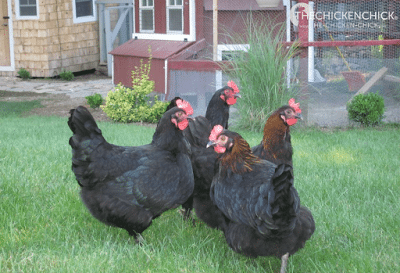 My Facebook page and blog focus on the joys and challenges of backyard chicken-keeping and I am often asked questions on topics ranging from Ameraucana traits to molting and bumblefoot to poop. Many questions I am able to answer from personal experience and others I research in order to answer if I can. 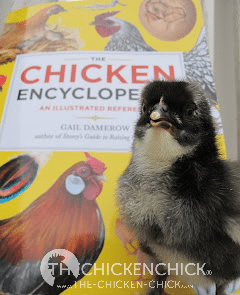 I was asked by Storey Publishing to review Gail Damerow’s latest book, The Chicken Encyclopedia, and to my surprise and delight, it has become an invaluable resource, most recently in answering my own questions about rooster fertility. 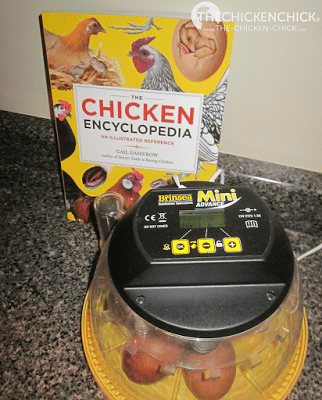 The practical implications of this book were first impressed upon me by two unlikely suspects: my Black Copper Marans (BCM) rooster, Max and my 4 year old daughter. 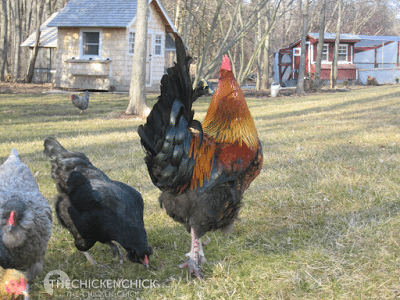 Max came to me from Louden Farms in Ohio as a fertilized egg early last July. 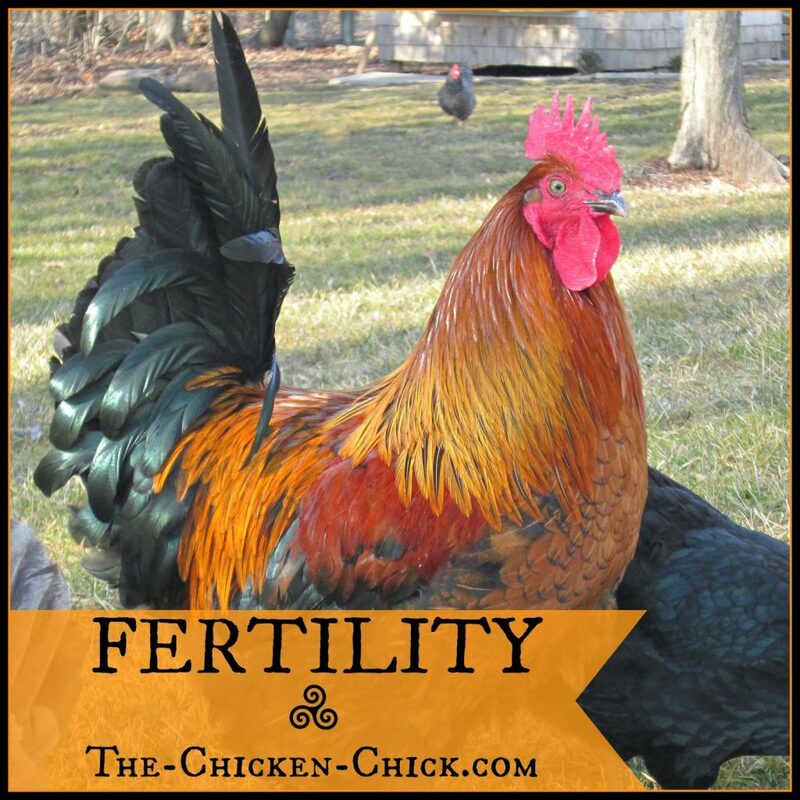 He was my broody hen’s sole hatchling and she helped him integrate seamlessly into the flock. I quickly became fond of this awkward singleton, but before long, it became apparent that he was a rooster, and I could not keep roosters. I knew he would have to go, but I could not resist the temptation to keep him long enough to breed him to my Marans hens. When Max began mating with the ladies in October, I regularly checked the BCM eggs for fertility and by mid-November, it was game time. 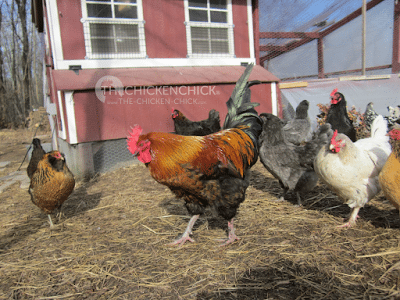 In December, I greedily began hoarding and hatching BCM eggs as quickly as my incubators would turn them into fluffy cuteness, for I knew spring would soon be upon us and that open windows + vocal rooster=cranky neighbors. Max’s days were numbered. Being a hatch-a-holic, I obviously had to test the waters to see how long the Fab Five would continue to produce fertile eggs in Max’s absence. 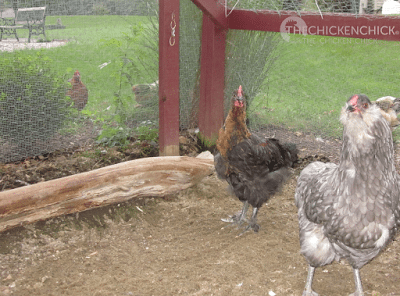 After Max’s move, I continued to collect the Marans’ eggs and hold them until an incubator became available. 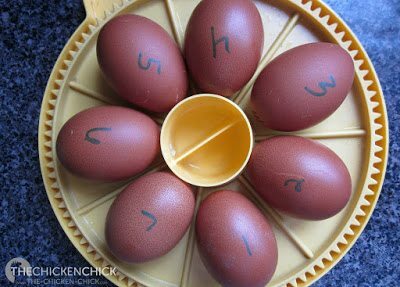 Little did I know that my 4 year old had her own ideas about testing those same eggs. 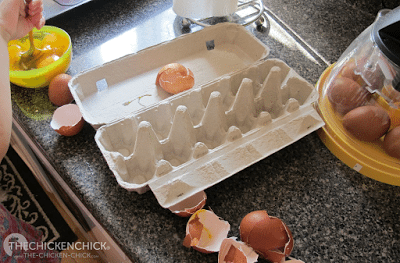 While I was out at the coop one morning, my daughter, MaryKate, decided to try her hand at the fine art of egg cracking. After having seen the pride in MaryKate’s face at her accomplishment, it was impossible to be upset about it. MaryKate’s cooking class, not for the faint-of-heart. 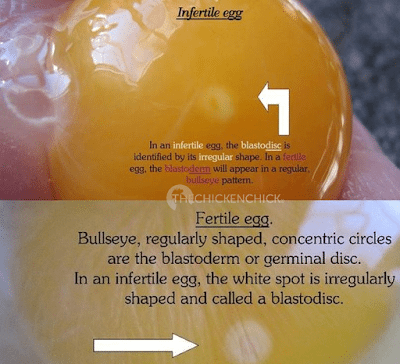 I inspected the semi-scrambled eggs, which revealed that the eggs were not fertile. I do admit to having lost count of the number of Max’s chicks that hatched over the past month since his departure, that’s one of the symptoms of being a hatch-a-holic, but I do know that the very last egg in the incubator hatched tonight and it was from an egg that was collected 12 days after Max was last with the hens. He must have read the book. Max’s last Connecticut baby. 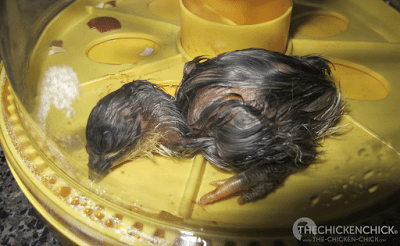 Hatched 3/26/12. 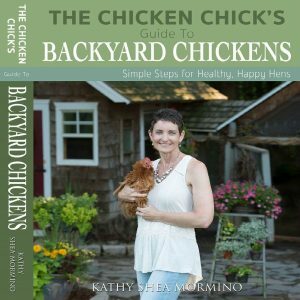 I am honored to have been asked to participate in the blog tour, book-review of The Chicken Encyclopedia, Gail Damerow is a well-known and highly respected and prolific author of such works as: Storey’s Guide to Raising Chickens and The Chicken Health Handbook, both of which had been on my bookshelf long before a chicken ever stepped foot into my backyard. I encourage anyone with pet chickens to acquire this book as soon as possible. It is that valuable a resource. 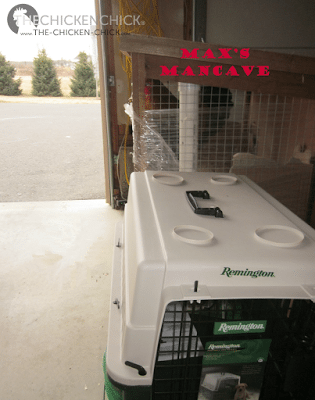 *Max was carried into his ManCave (aka: rabbit hutch) in the garage every night for months and returned to his adoring harem after the neighbors left for work each morning. It's nice to hear from a fellow hatch a holic! Though it takes all the strength I can muster, I do moderate. 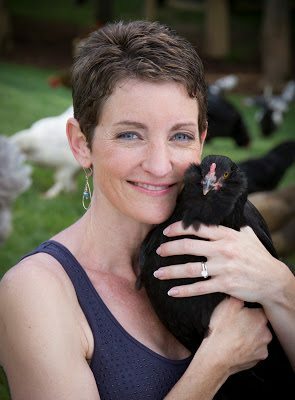 In the 3 years I have had chickens I have only hatched out a little over 1,000 eggs so I am not a totally hopeless addict!